When it comes to holidays, I am not really much of an advanced planner. This is a point that has been driven home to me recently by my many blogging friends. See, if I was a good food blogger, I would have been talking to you about my Thanksgiving menu planning since at least the beginning of November. I would be test-driving recipes and providing you with a whole host of ideas for your own Thanksgiving feast. If I were really on top of things, I might even have my Thanksgiving table all set, as my friend Lana, of Never Enough Thyme, does. Hers is beautiful, by the way, so I suggest you stop over and take a look! Alas, I am not that sort of person or that sort of blogger. Here it is, the week of American Thanksgiving, and I’ve barely given our dinner much thought. I simply haven’t had the time, nor really the inclination. It will just be me, my husband and kids this year, a quiet family Thanksgiving on a relatively small scale. No advanced planning necessary. The one thing I have done ahead, as I do every year, is the cranberry sauce. It’s just so darn easy to pop those berries in a pot with some water and sweetener, and set it to boil. I’ve been making the whole cranberry sauce recipe that comes on the back of the bag since time immemorial, since it’s my father’s favourite. Last year, I took my first stab at making it sugar free and it was just as good. This year, I decided to shake things up a little bit, or rather spice things up a bit. Please don’t tell my dad, I am sure he would be horrified! But it occurred to me how nicely the tang of cranberries would be with a touch of chipotle and lime, so I set about adapting that back-of-the-bag cranberry sauce. And this year, I sweetened it with Swerve, a new erythritol sweetener that is as sweet as sugar and can be used to replace it cup-for-cup. The Results: I actually haven’t tried this out on any members of my family yet, but I love it. I love the tang of both the cranberries and the lime, with the smoky heat of the chipotle. I kept dipping a spoon into the finished product, so I finally had to jar it and put it in the fridge so that we would actually have some left to go with our Thanksgiving turkey. I am fairly certain that my kids won’t like it because of the spice, so all the more for me and my husband. I am really looking forward to seeing how it goes with turkey and all the trimmings. Now, in the spirit of menu planning, I am also providing you with some other Thanksgiving Feast ideas. Whether you have special dietary needs or not, there are so many great recipes out there to choose from, I just couldn’t help but put together a collection of great links to share, some from me and some from fellow bloggers. Combine water and preferred sweetener in a medium pot and bring to a boil Add cranberries and bring back to a boil, then reduce heat and simmer for 5 minutes, until berries begin to pop. Add minced chipotle, lime juice and lime zest and continue to cook until all berries have popped and sauce is thickened, about 5 more minutes. This sounds great! I'm not sure I could get the family to buy off on it, but I love the combination of flavors here. I love spicy, sweet and tart together. Wonderful! I believe chipotle always makes something better. I love the smokey flavor of the heat. Very cool dish my friend! Happy TG to you and your family too! I'm so drawn to the chipotle flavor in here but know that my mother-in-law wouldn't be able to handle the neat, even if it's just a touch. As always, the presentation is gorgeous. That is gorgeous! And of course I love the little KICK! Chipotle and lime sounds like a nice twist on cranberry sauce – just love how gorgeous your sauce looks! Thanks for including some of my recipes in your Thanksgiving list. Now off to start shopping for the big day! I don't like cranberry sauce. But the chipotle lime twist sounds really interesting, maybe this way I'd be able to enjoy it… I guess I just lack growing up with cranberries! I make up for those who don't love the sauce…I'm crazy about all things cranberry! Love a version with some heat; very nice. This is absolutely beautiful, Carolyn! The flavors – tangy lime, smoky heat from the chipotle, and tart cranberries – sound like a match made to be. Enjoy your quiet Thanksgiving. Sometimes that's the best kind. I LOVE your sauce! 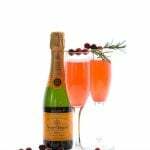 While I am fairly traditional about my Grand Marnier Sauce, I did a Southwestern Thanksgiving one year with a spicy turkey and this would have worked just wonderfully on the side!! Totally saving this one, we are all about chipotle and lime whatever it is with. Thanks for including our White Chocolate Cups too!! They've made it to our Traditional table! 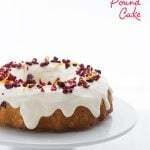 I love finding new, creative things to do with cranberries! Thanks, this looks great! 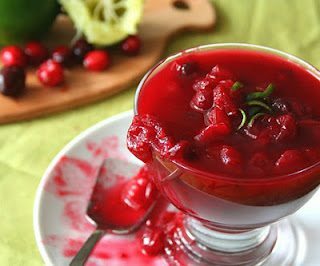 I love cranberry sauce with spice in it, but the lime is new to me and sounds great! I bought a huge Costco sized bag of cranberries just to play around…I may borrow your idea! What a gorgeous dish, the color is popping off the page. I LOVE YOUR BLOG!!!! Thanks so much for stopping by The Saucy Gourmet, because it brought me All Day I Dream About Food. I am the only one in my family that likes cranberry sauce, so I make it just for myself 🙂 I can't wait to try this recipe!! I'm a cranberry sauce convert – used to hate it, now love it (well, depending on the recipe). This recipe with chipotle and lime is right up my alley, and could it be a more gorgeous color? Great Thanksgiving round -up! Ummm…there's a drip down the side of the dish Carolyn. Is it ok if I lick that off? 🙂 This looks like a fantastic cranberry sauce! I love the flavor combos. Thanks for the link up as well!!! I have to confess I really like the canned cranberry sauce. It's weird gelatinous texture is one my favourite things at Thanksgiving. That being said, changing up the cranberry sauce a little sounds like a lot of fun, and this flavour combination sounds awesome! I'm with you on the lack of planning- I think I've only cooked two things this month and they were both non-thanksgiving baked goods! I love everything about this cranberry sauce- just sent the recipe to my mom since she's running the show this year- can't wait to try it! This sounds absolutely fabulous – I love lime and cranberry and I'll bet the chipotles truly do kick it up a notch!! We love cranberry sauce, and never thought to add heat and lime, which we also love. Will have to mix it up soon. Have a great family Thanksgiving! That cranberries and lime combo realy does sound tasty. And with chipotle, wow! 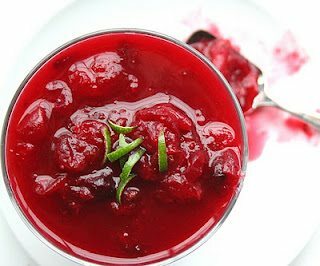 I love the idea of combining the typical sweet flavor of cranberry sauce with the savory flavor of chipotle chiles. I also love spicy food so this sounds like a great combination. 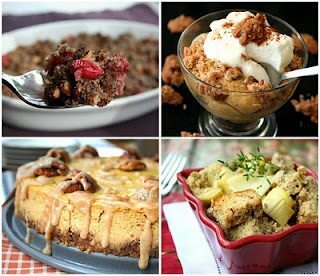 Great round-up of holiday recipes! I always make my cranberry sauce sugar-free, too. Don't tell anyone at my table; they think it's great the way it is! Ha! I'm just as bad. 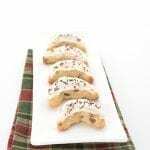 I'm a 'day of' kind of holiday food planner. These cranberries sound worth the pre-planning though. Pretty badass move with the lime! Yummy! I don't think I have seen a better cranberry sauce than this. This looks amazing! I won't tell anyone! Good for you, who needs the added sugar! I have never had cranberry sauce! GASP!! Full fledged American, and it has never graced our table. I love the twist with this one though! We are having just a small Thanksgiving this year too. With just moving that is pretty much the only option. I need to get my menu in gear – just bought my turkey this morning! Tangy, smokey, spicy, sweet, and tart?!?!?! Count me in!!! Okay you have officially pushed me over the edge. I think I must join all my American friends and celebrate Thanksgiving again. This looks so good. Everything sounds smashing. I am drooling. Mmmm this sauce sounds amazing!! I love the flavor combination! This looks absolutely amazing!! I love the idea of chipotle and lime in there, it's just perfect. 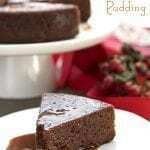 And thanks for the great round-up of recipes! They all sound awesome. Wishing you a lovely holiday! Chipotle and lime sounds like a creative twist on cranberry sauce. Have a great Thanksgiving weekend! I made this tonight for T'giving tomorrow, and it is ah-ma-zing! I couldn't find canned chipotle chiles at the store I went to (and I live in TX…weird), so I sub'ed ancho chile powder instead (2 tsp, roughly). It's pretty subtle, but it definitely adds something. I'll definitely be making this again with the chipotles next time. Anyway, the lime zest is the real superstar in this recipe, in my opinion. It adds such a wonderful kick to a normally ho-hum dish. So glad I found this! So glad you liked it, Erin. I am looking forward to tasting it with my turkey today. Happy Thanksgiving. (and it's very strange you couldn't find canned chipotles at the store in TX!). This sound soooo good…BUT EVERYTHING LOOKS AMAZINGLY DELICIOUS! Hope your Thanksgiving was awesome! I used your CB sauce (minus heat and lime) as my CB sauce this year and it was (is) incredible!!! 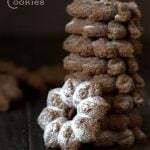 Will be making more, and also trying the recipe as written. Just wanted to thank you for this awesome recipe (and so many others too!). Hope you Thanksgiving was wonderful and wishing you a very Merry Christmas and the bestest ever New Year!!! OMG! The lime and heat added to the cranberry sauce is INcredible!! Last night was the night to try this with a full recipe of sauce. I had to use some shakes of cayenne powder and squeeze bottle lime, but that turned out fine. I wanted the sauce and that's what was on hand! I added a sprinkle of a nice pumpkin pie spice as well – it just felt right to do so. The entire amount I made just has 40 net carbs which thrills me no end! Thank you again, Carolyn!! I made this this past Thanksgiving. Even my kids liked it, and they never like spicy (I did cut back on the chipotle a little). I’m not normally a cranberry sauce person–more like cranberry relish–but this will become a regular at our table, for sure. Happy Thanksgiving Carolyn! 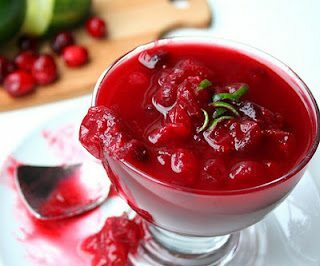 This is a delicious recipe for cranberry sauce!! Can you give me the servings and net carbs info? Thank you!! 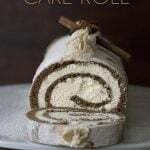 I so want to make this for Wednesday but I want to use it with a bread. So what would you serve with it? I mean is it used as a spread on bread or as a side dish like the actual cranberry sauce?? Seems to be a good spread to me??? Sure, I think it would make a great spread with a soft cheese like brie or even cream cheese. At least several, I didn’t try all), links are not working. Maybe you are on a new host ? The response page says : “Preview DNS is not enabled for this hosting account. They are probably just broken links because it’s a very old post. What recipes are you looking for? I can grab you the direct links. I actually did search and found the two I really wanted to check out right away. I’d clicked on more to see if it was just a couple, and they were broken links as well. I’m guessing they are all still here, just not accessible from the links on this page. Thanks for the speedy reply. I’m addicted to your site. 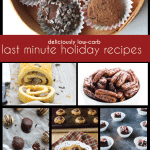 It’s hand’s down the best eclectic collection of LC recipes online. This makes about 2 cups, maybe a little less. I suppose it depends on how much people like cranberry sauce but I would do 2 to 3 batches, at least. I wonder how this would taste in oatmeal? Homemade cranberry sauce and oatmeal has been my breakfast (and sometimes dinner) of choice lately. I don’t normally make a cranberry sauce. However this recipe has me curious. Just serve it on Thanksgiving day, would I serve it cold room temperature or warm?